This winter is a cold, snowy mess that makes you ache for beaches and fruity drinks. Well, embrace it I say. 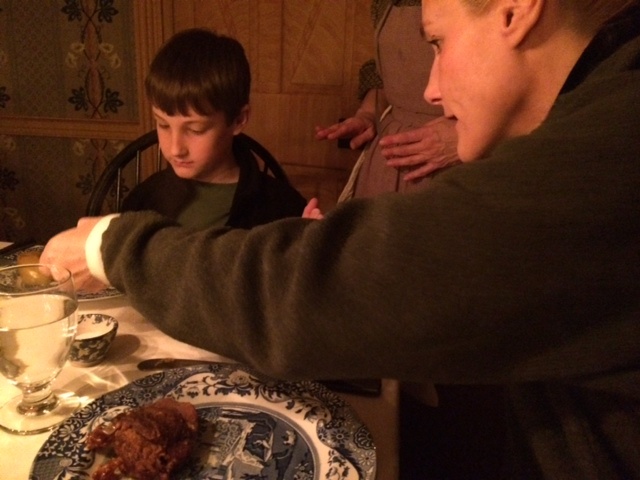 What better way than a Hearthside Supper at Conner Prairie? 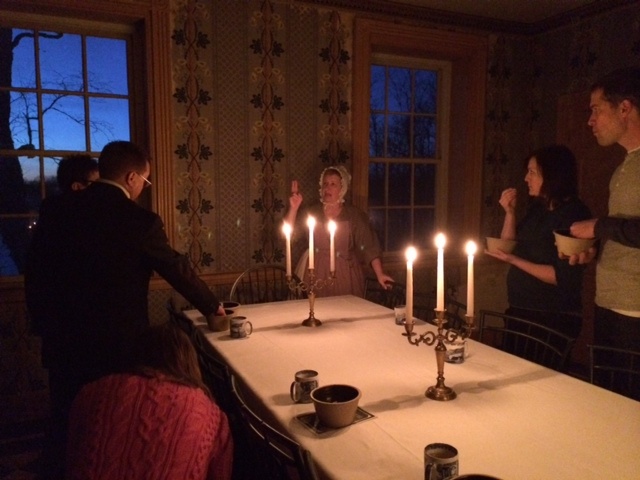 This candlelight dinner done 1830s style was a great way to really enjoy the cold weather and eat some fantastic comfort food cooked over a fire. We were quickly welcomed inside the Conner House kitchen where a roaring fire complete with a bed of glowing coals perfect for cooking awaited us. My sister and nephew came along and we learned that our father&apos;s use of the word ‘receipt&apos; rather than recipe is true to history. 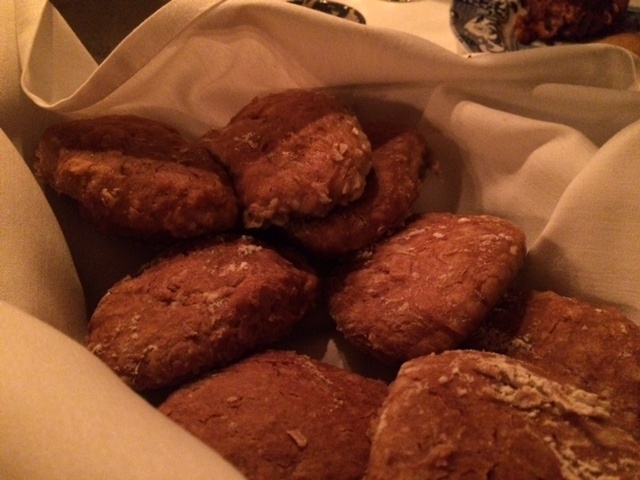 I was put to work making biscuits and learned how to mix and shape dough using only a wooden spoon and paddle. My sister was busy putting apple black-cap together, measuring the nutmeg in her hand. My nephew proudly ground the coffee that was served with our rice pudding at dessert. After we finished helping with dinner preparation, we got a tour of the Conner house that included details of how daily life, including sleep, was different then. Beds were shorter because people slept in a propped up position to help them with their smoke-induced breathing ailments. But-back to the dinner. It was like a Thanksgiving feast with popcorn, cheese and sausage (from the Ossabaw pigs that are raised at Conner Prairie) with hot cider. That&apos;s just the appetizer menu. Dinner began with onion soup with soppets, and continued with rump of beef with forcemeat (a type of bread dressing), roast chicken with herbs, mustard potatoes, carrots the Dutch way, brandied peaches and of course, the apple black-cap and biscuits that my sister and I helped prepare. We used flatware from an 1800s pattern with forks that were only used to hold food as it was cut. Spoons were only used for soup. So how did we eat? With the back side of the broad blade knife, of course! After dinner we played a flirtatious game of ‘Question and Answer&apos; that had my young nephew laughing out loud. By the time we were served our rice pudding with tea and coffee, we were stuffed-both with food and the experience itself. 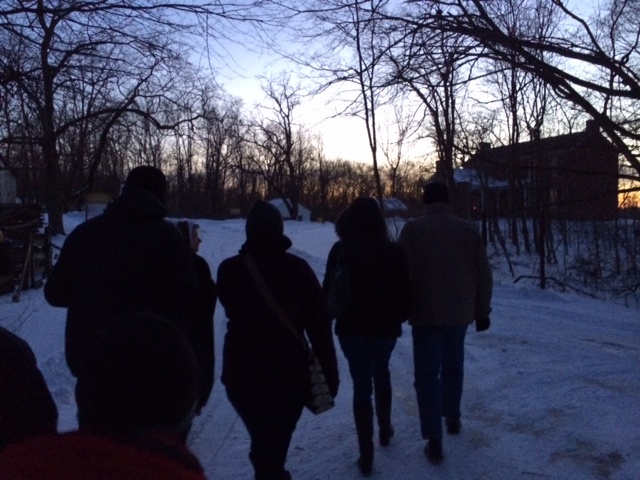 It was still cold outside as we left the Conner House, but we were warmed inside and out with a wonderful evening at Conner Prairie that made us forget about winter for just a little bit.